There are loads of mobile providers in the UK these day, but only four that actually own their own network, one of which is Three. The rest are virtual operators piggybacking off the back of the larger networks and one such network is SMARTY which itself operates on the Three network. Despite sharing the same network, Three & SMARTY have very different propositions and offer very different perks. In this article, we will go into detail around several comparative factors to highlight which network comes out on top. SMARTY is a great option for customers looking for a low cost mobile plan. 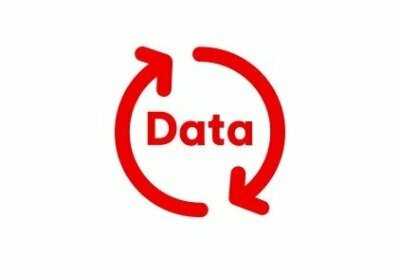 Focusing on only offering SIM deals, SMARTY customers get great value with the unique perk of giving customers money back each month for any unused data. Three, on the other hand, focus on data heavy plans & offering the latest flagship handsets from the likes of Apple & Samsung. This is coupled with some additional perks such as inclusive roaming in over 70 destinations worldwide, unlimited streaming on popular apps such as Netflix & a rewards app called Wuntu which gives away freebies on a weekly basis. Find out more about both by reading on. Three have 99.8% 4G coverage with data speeds second only to EE. With inclusive roaming in more destinations worldwide than any other network and unlimited streaming on popular apps such as Netflix and Apple Music, Three not only gets the basics right but also leads the way with a number of unique perks in the market. The Three network is the smallest out of the big 4 operators in terms of the number of customers they have but they rank among the top in terms of their product offerings and with their incredibly competitive price point half cooked gives Three a ranking of 4.5/5. Want to know more about Three? Click here to read our Three Review. SMARTY offers very competitively priced 1 month SIM only plans for lower to middle tier data users. Being simple and honest means you know exactly what you get with SMARTY with no nasty bill shocks. No credit checks mean anyone can become a SMARTY customer and their 1 month SIM only plans you can cancel at any point. With their 14 day money back guarantee you can be assured if the service isn’t up to what you expect you can receive a full refund. However, if you are a heavy data user that’s looking for some additional perks some of the larger providers offer SMARTY probably isn’t best for you. To sum it up, Half Cooked believes SMARTY is a great all-rounder for people looking for a cheaper option for their phone contract. Data plans limited to 8GB. No free entertainment packages or Wi-Fi Calling. Want to know more about SMARTY? Click here to read our SMARTY Review. Similar to iD Mobile, SMARTY runs on the three network. However, SMARTY is owned by Three itself. This is similar in the way giffgaff is owned by O2. As a result, whether you are using the 3G or 4G network you will get identical coverage with a SMARTY or Three SIM. Three’s has rolled out its networks across the majority of the UK with population coverage of 99.8% and 98% for 4G and 3G respectively. The same can be said of data speeds. 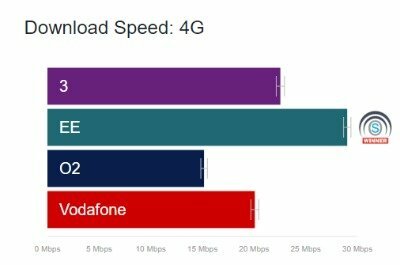 Per P3 comms data Three’s average download speed on 4G is 23 MB/s, second only to EE who has an average download speed of around 30MB/s. As a SMARTY customer, you will get identical data speeds on a SMARTY SIM. Running on the same network, with identical coverage and speeds – this is a draw. If you’re streaming HD quality content on a regular basis we recommend checking out our EE network review which offers the fastest speeds in the UK market. Three’s 3G & 4G coverage reaches around 99% of the UK population. Three is also constantly rolling out additional spectrum, working to cover the entire population. Although Three doesn’t have a 2G network, this isn’t a problem due to the extent of their roll out of both 3G & 4G. You can expect excellent voice call quality with their 4G Super-Voice (VoLTE) that reaches rural areas and which also ensures clarity when inside. With SMARTY you get unlimited voice minutes on all your plans & running on the Three network you get good voice call quality. If we look at P3 Communications 2018 testing, Three was marginally behind Vodafone & EE due to slightly longer call set up times. Regardless, you won’t have a problem making a call on either Three or SMARTY’s network. Three allows tethering on its pay monthly & SIM only Advanced Plans which represent the majority of its SIM & Phone contracts. But for customers looking for the best value plans (Three’s Essential Plans), benefiting from certain discounts means a few less perks, one being no tethering. PAYG customers can enjoy the service if they have an add-on plan or make a cash to credit conversion which costs around 1p/MB. Three also allows tethering abroad on the Advanced Pay Monthly plan for Go Roam destinations but it is only available to unlimited data plan customers & is subject to a fair usage limit. Keeping to their promise, SMARTY is about simplicity and honesty when it comes to their data policy, including the way customers can tether on the network. SMARTY allows you to use your data whichever way you want to, and don’t impose any restrictions on tethering. However, if you’re on a Large SMARTY SIM & exceed 8GB you will have to purchase an add on for additional usage. The good thing is the additional charge will be the same as your standard plan charges and you won’t have any bill shocks as your data will be capped unless you purchase an add on. Tethering abroad however is currently not an option. Although SMARTY is owned by, and uses the Three network, their data tethering policies differ. No tethering limits on any of SMARTY’s plans means it comes out on top. With Three’s ‘Go Roam’ proposition, every customer on Three’s Advanced Pay Monthly or SIM Only plans enjoys free roaming internationally. Covering 71 different countries, the Go Roam proposition is available in all 48 EU destinations and a number of worldwide destinations. Customers roaming in the EU have a max data allowance of 19GB depending on their data plan. Customers visiting other worldwide destinations have up to a 12GB data allowance depending on their data plan. This is also available to PAYG customers when they purchase specific add ons. With SMARTY, customers get roaming inclusive in 48 EU destinations per EU regulations. But unlike Three, you do not get an inclusive roaming scheme across worldwide destinations. To get roaming across these platforms, you will be billed per minute, per text, and per MB in non-EU countries. Three’s ‘Go Roam’ is actually the best international roaming scheme in the UK not just when comparing to SMARTY’s. Three’s Wi-Fi calling scheme ‘In-Touch’ is the best in the market. Available for customers on Pay Monthly, SIM only & PAYG plans, it is supported across most devices and automatically connects when connected to Wi-Fi. Given the compatibility with older version of iOS & Android makes it one of the most flexible schemes in the market. In terms of Wi-Fi hotspots Three offers hotspots on the London Underground at over 250 stations to keep you connected while travelling. SMARTY despite being owned by Three, doesn’t offer customers Wi-Fi calling or any inclusive Wi-Fi hotspots. As is common amongst a lot of the operators, providing the value that SMARTY does means that some additional perks such as Wi-Fi Calling & Wi-Fi hotspots won’t be available. Three is clear outright winner in this category due to their great Wi-Fi calling scheme & London Underground Wi-Fi access. Want to find out how to get access to over 5 million free Wi-Fi hotspots in the UK? Check out our BT Mobile Review. Despite the fact that data rollover is one perk networks are starting to offer to up their game, this is not something offered on any of Three’s plans. Some networks such as EE offer it only on PAYG but unfortunately this isn’t the case with Three With SMARTY, data rollover cannot get better. SMARTY offers incredible value on their data rollover plan by calculating the amount of data you used in the previous month, and then deducting it from your next bill! This proposition is unique to SMARTY & is what drives the great value that SMARTY offer. SMARTY is the outright winner with the best rollover proposition in the market. Another great rollover proposition is offered by Sky Mobile where customers can rollover any unused data for up to 3 years! That’s the longest in the market with most networks only offering 1 month of rollover. Three don’t have any actual family plans but do offer discounts on any additional plans added to your account. As long as you’re on a 1-month, 12-month SIM only plan or 24-month phone contract with Three you can get a saving of up to £2 a month on plans with upfront fees waived too. You can sign up for these additional plans at any time. 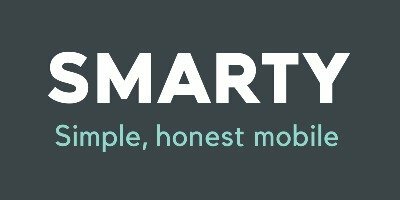 SMARTY currently don’t offer any family plans but you may end up spending less with SMARTY due to the great value offered by their low cost plans. Three comes out on top with no family plans available with SMARTY. We rate BT Mobile’s family plan as the best in the market, check out our Vodafone review to learn more. Some networks are offering customer rewards applications which offer discounts with popular high street retailers & restaurants. Some of these rewards such as Priority with O2 offer early access to purchase tickets for gigs. Three’s customer reward app is called Wuntu. 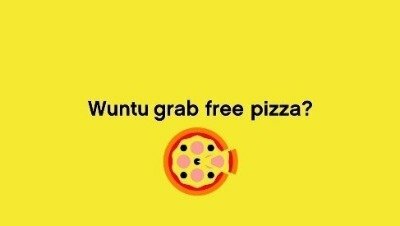 Wuntu offers free rewards and exclusive competitions to all Three customers. Each week, new offers and discounts are updated on the app including travel upgrades, free coffees, snacks & the opportunity to win vouchers. Unfortunately, similar to a lot of the other smaller virtual operators SMARTY does not offer a reward app. Three comes out as the clear winner. The Three Go Binge offers free data streaming on several popular apps. As a Three customer, you get to stream without limit on Netflix, Snapchat & a number of other apps. This is available to all Advanced plan customers with 12GB or more data. SMARTY doesn’t offer any customer rewards, unfortunately. However, their SIM pricing is incredibly competitive. 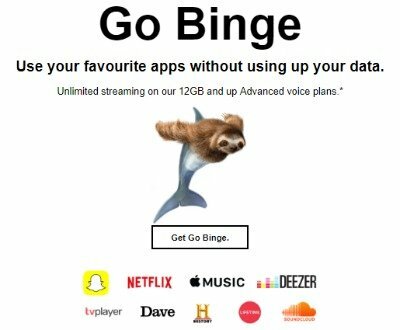 Three comes out on top offering a great perk with Go Binge which can save customers on a big chunk of their data each month. Looking at both network it becomes clear that as a Three customer you will get several great perks alongside good network coverage and fast data speeds. SMARTY on the other hand offers some of the best value in the market & is great for customers after the basics. But when comparing the two networks it becomes clear that Three wins out & is considered one of the best networks in the UK. Previous articleBT vs EE Network Comparison 2019: Both networks running on the same network with very different perks. Next articleFree Wi-Fi Hotspots: Which UK Networks have this data saving perk?